SofTap® colors have had an excellent reputation for safety and beauty since their creation in 1988. All pigments are hypoallergenic and have been safely used on even the most sensitive of clients. Their creamy consistency and fabulous staying power have made them a must-have for permanent cosmetic professionals. While these pigments have been designed for use with the hand method, they can also safely be used in any machine! Choose from 26 natural eyebrow colors, 13 fabulous lip colors, 11 gorgeous eyeliner colors, and over 15 other camouflage, correction aids, and areola shades. If you still can't find the perfect color, any of these can be mixed together to create a custom color just for you! SofTap® has also modernized the ancient tradition of tattooing by hand to bring professionals an ergonomic solution for practicing permanent cosmetics. Our 100% disposable, patented needle configurations are designed for comfort, efficiency, and pinpoint precision. The hand method is gentle, quiet, and is a great option for professionals seeking that extra control. Clients have repeatedly told us how pleasant their experiences have been—some have even fallen asleep during the procedure. The hand method is a machine free process, performed solely by a caring, well-trained professional. 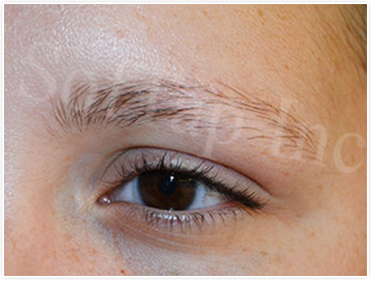 Professional permanent makeup services for brows, eyes, lips, and more are available through our many skilled and trained technicians. See our Find a Technician page to locate a talented SofTap® professional in your area. 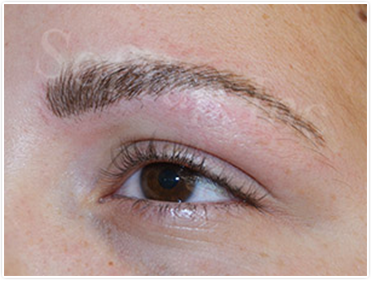 Beginning, intermediate, and advanced training resources for the SofTap® hand method are available for permanent makeup artists on our Professional website. Contact a trainer in your area for details on their individual requirements and curricula.